I love lace outfits and have a good number of lace tops and dresses! Today I am going to introduce a Canadian based online shopping website that stocks high quality outfits- Du North Designs! When I say high quality outfits then I really mean it as I am very peculiar about my outfits! 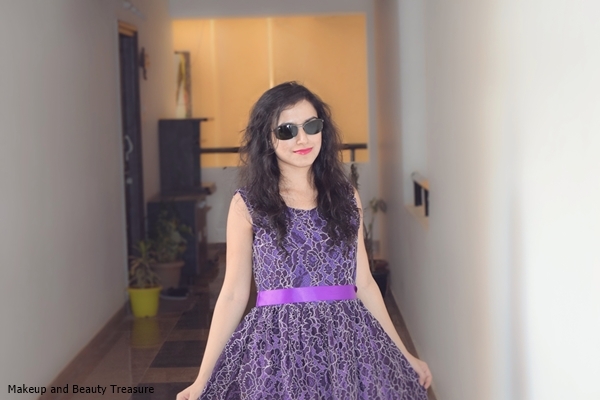 After going through my wardrobe, I realized I did not own any purple outfit (which is actually one of my favorite colors! 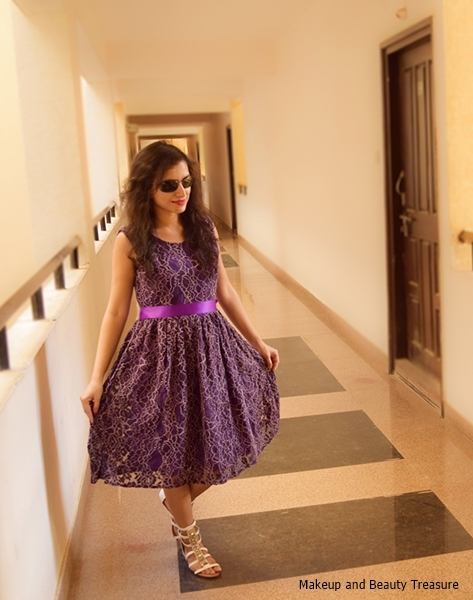 ), I instantly ordered this super gorgeous purple lace dress! Du North Designs provides worldwide shipping! The dress would look lovely with heels! Placing the order from Du North Designs is very easy! It's just like how you shop from other online shopping websites! They accept payment through credit cards and PayPal! I got the email as soon as I ordered the dress! The package reached me safely within 10 days! 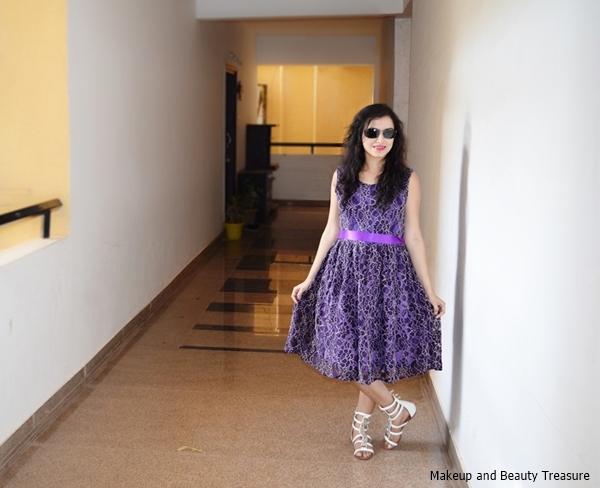 The lace dress is all purple polyester lace with a cotton underlay! It falls just below the knees! I chose Size #6 for me and it fits perfectly on me! There is a zipper on the back that allows your head to pass through the neckline of the dress easily! There is also a ribbon belt that you can tie to make the dress look perfectly girlie and fit! It has floral patterns that can be worn in all seasons and I must say the cloth is very comfortable to the skin! The color of the dress is very fresh and summer-y and I love the flare of it! I love swirling when I wear this dress! Though the dress has an underlay but I still wear undershorts just to be on the safe side #lol. I got many compliments whenever I wore it and I am sure it will look great on all girls and women! - Can be worn anytime and everywhere! - Lace designs are in! - I love the flare of the dress! - It has cotton underlay so it's not see through unlike other lace dresses! - I loved the color! - The outfit is made of high quality fabric! - Du North Design provides worldwide shipping! - Shipping charges to India are high! They are different in all countries so better check on the website! Overall, I am totally in love with this super gorgeous lace dress from Du North Designs. It is of high quality and looks pretty girlie! The ribbon belt is an added bonus and makes it look more feminine! It can be worn on all occasions! I would highly recommend it to everyone! Do you like lace dress?